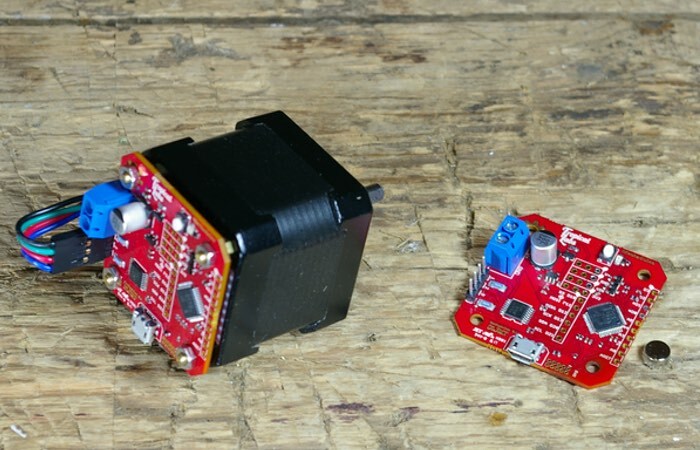 Tropical Labs has this week unveiled a new open source industrial servo motor it has created in the form of the Mechaduino which takes the form of an affordable solo that is Arduino compatible. Check out the video below to learn more about this new Mechaduino servomotor which is taken to Kickstarter to raise $7500 over the next 20 days to go into production. A number of pledges are available offering just the Mechaduino PCB or the servo itself priced at $60 with shipping expected to take place during September 2016. The developers of Mechaduino explain a little more about what you can expect from this new servo motor. Mechaduino is an Arduino for mechatronics! Mechaduino is a self-contained motion control platform which allows you to develop your own custom servo mechanisms. It can be also be used as a drop-in servo motor for 3D printers and CNC machines. No more missed steps! Mechaduino began as a personal project that grew out of our recurring need for affordable, yet capable servo motors. We’ve been developing an affordable open-source industrial servo motor, opening the door to sophisticated mechatronics applications. Our design leverages the low cost of mass produced stepper motors. We are able to achieve very high resolution via 14b encoder feedback (after calibration routine!). For more information on the new Mechaduino jump over to the Kickstarter website for details by following the link below.